This game is at Coopers Stadium. If it was at Parramatta, it would be at Coppers Stadium. Glad to see Alberto has been added to the squad! Does anyone have an update on his injury? Who's going to be GK next week? OMFG...Hamill in once again. This dud seriously would be lucky to make Pendle Hill Premier League. 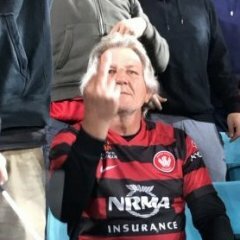 FFS.. Has this bloke got incriminating photo's of Popa or what? 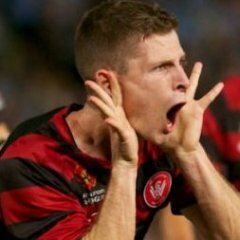 WSW include all their health players in squads. He might not be in the team. haha pretty much this. They list 20 players all the time. Mind games. Popa listening to ATB once again with Baccus listed. Just want to put something out there... We are starting a new competition and have basically a new squad. We have had a proper pre-season, first time ever. The fact we have so many first team players on the bench injured, is it just me or should the strength and conditioning of these players be in question or is it just a terrible coincidence and bad luck??? Bridge for the derby? There's a 2-0 head start for Sydney FC long before the first ball is even kicked. Anyway, back on topic for this weekend! - We lost our S&C coach who did so well S1&2 in preseason of S4. Is the new guy to blame? - Depends on the type of injuries we've been suffering, soft tissue injuries are usually an issue of the training regime. In saying that, our Australian pitches do cause a lot of lower body issues/tightness. Then you can't really blame a rolled ankle on training regimes. Seeing as getting injury info out of the club is like trying to get blood out of a stone makes it all hard to decipher. Don't you mean a head start to us? Bridge scored the first and was a major part of the second goal that went in to put us up 2-0 in the same game last year. Predicted rain in Adelaide tomorrow. We really aren't playing well enough to get an away win at Adelaide. I hope I am wrong. The most disturbing part is the amount of goals we are leaking for what should be the strongest part of our game. I'm so sad to be stuck at work, and not be in Adelaide for this match. It's such a gorgeous stadium - soooo close to the action!! 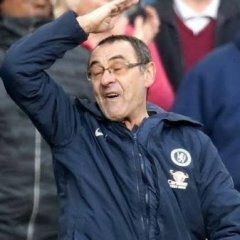 I would take a dogged and ugly 0-0 and for the summarisers after the game to say what shite entertainment it was. If this meant we resume looking rock solid I would take it. We need to learn how to frustrate teams again. The clock is ticking over ever so slowly. Is there a pub meet close to the ground before the game? If so where?